Over the last two years of working on the OurSociety Experiment, I’ve had the opportunity to speak with hundreds of people who were involved with governance, activism, and candidacies in the state of New Jersey. It has been an enlightening experience in many ways, and I have observed some common perceptions that make for great discussion. Specifically, what drove people to select a president with authoritative beliefs and ideals? More importantly, how do we take the necessary measures to prevent such an event from occurring in the future? I’ll argue that both questions have the same answer, access, and agency. History has shown us that democratic forms of government can lead to undesirable consequences. On August 19th, 1934, Adolf Hitler was democratically elected as President of Germany. In 2014, Erdoğan was elected President of Turkey, and Bashar Assad was “elected” President of Syria. 2016 brought the rise of Rodrigo Duterte who ran on a platform of reducing crime by slaughtering drug dealers and criminals. As of January 2017, the murders have risen to over 7,000 people, with reports ceasing afterward. Donald Trump was then elected on a platform that was transparent about limiting the rights of racial and religious minorities within the United States. All of these individuals were chosen by their people to lead, despite forewarnings that their actions would not support the common man. Democracy is a messy thing and people, especially people who are living in a state of uncertainty and fear about the future, can make decisions that – in retrospect – seem baffling. Why would one person see the immense flaws (both moral and programmatic) of these leaders while others do not? Many studies exist highlighting the specifics of why people chose to vote for Donald Trump. They cover a range of topics, such as the metrics of health, economic anxiety, cultural anxiety (racism), and fear of change. If we peel back the layers, every study concludes the same thing in one way or another: many Trump voters lack access to the tools necessary to give them the agency needed to transform themselves and the world around them. This deficit leads to fear. Fear of their economic future, fear of loss of social status, and fear of the unknown. But, for our argument, we will focus on access to education, information, and opportunity. Education isn’t just about money invested; it’s also about education style. Schools on the coasts have already begun to transform into a more dialectic style of teaching. Students work together cooperatively to solve problems, focusing on discussion, idea sharing, and drawing collective conclusions. Roberto Unger lectures about teaching every subject twice, from different perspectives. He argues that we should abandon encyclopedic memorization for selective depth. Compare this to the more competitive hierarchical methods of teaching such as rigid relationships between the teacher and students and a competitive atmosphere that begins to classify children under a specific regime of talents, as early as third grade. A practice originated during a time when education’s primary purpose was to generate workers for a manufacturing economy. The critical difference here is that the dialectic style of learning prepares students with the necessary cooperative skills to function in a highly technology-driven workforce, leveraging interpersonal and analytical thinking skills. Adversely, the hierarchical, competitive method of teaching is best suited for a manual, labor-intensive economy, like the U.S. of the 1950s. When you take a moment to reflect on the situation, the absurdity begins to shine. Citizens of the United States will get a better/worse education based solely on the birth lottery of where they were born. It is absolute insanity for a nation that prides itself on innovation and experimentation to deny access to the best possible education because of capital. 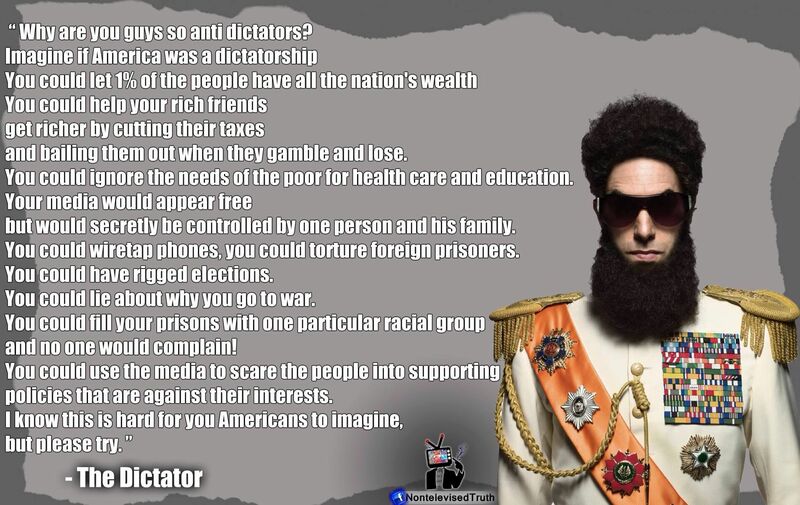 If we want to prevent future democratic dictator’s from arising, we must radically transform education within the U.S. The framework for this transformation is to decouple education from municipality taxes and, instead, define education as a federally funded program. The government would work in deep cooperation with the states and municipalities to develop curriculums suited for the necessary skills of tomorrow, not yesterday. Denying anyone within the U.S. access to high quality, fact-based, dialectic education will only haunt us further in the future. Opening up access creates a new generation of people with the tools and agency needed to create change. Americans love rugged individualism. Our national canon is that every person can become a hero, regardless of their humble beginnings, through hard work and focus. Personal grit certainly plays a role in living a successful life. However that may be defined. But, it is only part of the picture. The other part is that we are all inextricably connected in a shared reality that has been built by the collective efforts of the billions who have come before us. Everything you understand about the world around you is there because of communication between people. Communication is foundational to the human story, but communication cannot possibly reach its fullest potential when a subsection of the population is fed a steady stream of misleading and false information. Progressive projects should work towards opening access to quality and factual information to all individuals. We may accomplish this via regulation for monopolistic search and social media companies requiring that the information they provide, at least for the first three search rankings, be the most factual and accurate information available. We could imagine a scientific study, a Wikipedia entry, and a summary available shown on the first three options (ahead of the advertisements). Access to accurate information, combined with education, would raise the ability of every person to understand and change the world around them. Aside from the quality, we need also to address the quantity of information available. Here in New Jersey, our main internet provider advertises download speeds of up to 400 Mbps (Megabits per second – 1,000,000 bits per second). As of 2016, there are 12 states where over 10% of the population does not have access to internet speeds over 25 Mbps! Seven of those twelve have over 15% of their citizens without access, at all. By allowing information to become a commercialized product we have created a fundamental divide in our population’s ability to expand their access to information, thereby limiting their agency to transform their perspectives by consumption of information. Progressive policies addressing information quality may consider punitive measures for those who would sow misinformation and discord for their gain. The Alex Jones’ fiasco is a perfect example. Private companies removed Jones from their services, costing him significant capital gains. The argument against this is a First Amendment-driven slippery slope precedent which I believe has some merit; do we allow massively integrated social companies to choose what we can/can not say or do? It is apparent that massive corporations have too much power and control over our data, but that is a separate conversation. Does allowing Jones to spread blatantly false information for personal profits make us any freer? I would argue that no, it does not. If anything it makes us less free because it preys on a section of the population that typically does not have access to the education and information necessary to determine that Jones is a fraud. If we cannot provide some clarity of genuine information to our collective populace, we are doomed to repeat the democratic dictator dilemma. Addressing quantity challenges in information could be solved by making the internet a publically owned, funded, and developed resource, focusing on expanding access to the technology as well as the quality of the technology itself for all citizens. Our need for data and access is only growing, and access to quality internet and information should be considered a fundamental human right as it is necessary to create the future we desire. There are many ways we could define opportunity, as the definition changes depending on the level of access an individual has to education and information. We’ll focus on the opportunity to transform the world. If technology trends continue on the path of exponential growth we are experiencing today, the need to learn new skills and innovate within existing institutions will become even more vitally important to the future of labor. There are multiple ways to pursue a more opportunistic world, but a vital element of that is a suite of protections for the average individual. Drawing from personal experience as a small business owner, the process to develop and build a business is both time intensive and resource exhaustive. Even when you achieve your goals, the monetary rewards are such that in many cases the owners are in many instances beholden to their organizations, granting little to no more freedom than they would have in a corporation. Yet, many leap. Entrepreneurship brings a wealth of innovation, experimentation, and opportunity creation that unleash the human potential of the individuals involved. If our objective is to increase access to opportunity, we should be encouraging more people to create entrepreneurial ventures. In present society, the cost of failure is extremely high. If I had failed with Love2brew, the likely scenario is that I would have been about 30 years old, with no money, no savings, no assets, and a mountain of student debt. This would be my punishment for attempting to create and innovate within our world. A socialized bottom or suite of protective measures, for all, would be the ideal scenario to expand innovation and experimentation. If every person had access to the basics such as food, housing, healthcare, education, information, and transportation, we would see an explosion in creativity and transformation within the world. Competition and even failure are good things when it comes to creativity and innovation. Not every venture will succeed, but no person will starve just because they risked being bold. Cooperative organizations are the alternative to self-employment. Think of collaborative owned corporations with expanded resources and support from the government in the forms of access to the most advanced forms of production (technologies) as well as access to lines of credit to expand and experiment when the decisions are backed by sound data. For the existing and future mega-corporations, social ownership becomes a dominant player in their structures and activity. One specific program to address access to opportunity would be that the best firms become the best schools. We could imagine becoming a logistics innovator both here on Earth and in space. A socially owned Amazon could open training programs where individuals who want to learn new skills or pursue new occupations could be trained by Amazon using the most advanced practices. This type of access society provides any individual the opportunity to pursue the productive life they desire deepening their motivation to excel and innovate. Anxiety and fear are the two drivers that have led us into the political situations of the present. When our institutional arrangements create a very high cost of living, a high cost of education, a laissez-faire attitude towards information quality, and a political class owned by the corporations who sponsor them, the unsurprising result is that the population fears what is beyond. This unrest is used to misdirect frustrations to the “other.” In today’s scenario in America, we could identify the currently targeted “other” as immigrants, both legal and undocumented, and Muslims. Despite data indicating that immigration is a positive economic factor, a populace who widely lack access to education, information, and the opportunity to transform themselves will fall prey to these manipulative and dishonest tactics. Present and past societies share a common thread: they have historically relied on crises to create significant change. If the Progressive leaders of today desire to create real, sustainable change, we must focus our energy on building a society that changes and evolves proactively. From my perspective, this is the best way to deal with the uncertainty that our technological ascendency will bring. A society that has access to the necessary resources will be a society of individuals who have the agency to transform the world.